[Guest post by Leen Van Bogaert in Luxembourg, Luxembourg] I like to experiment with new tools and materials. And I like a lot to paint with oil paint. 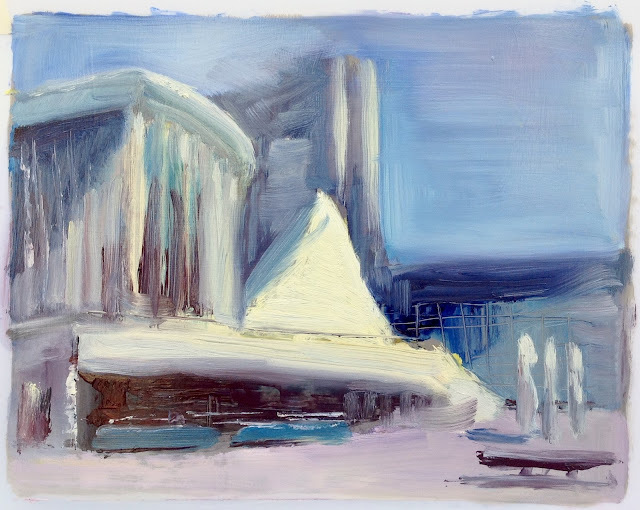 Since a few years I often paint outside: a special and very challenging physical experience and also a good solution for the health issues involved with turpentine. But I was bothered by the tedious task of putting up a field easel, organising the paint, etc. 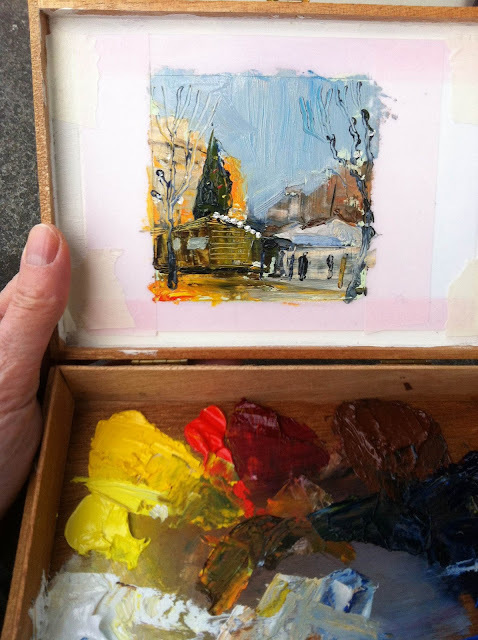 Finally this spring I came up with my little on-the-road-studio: it allows me to go anywhere, make an urban sketch and bring the oil sketch home safely while still wet. 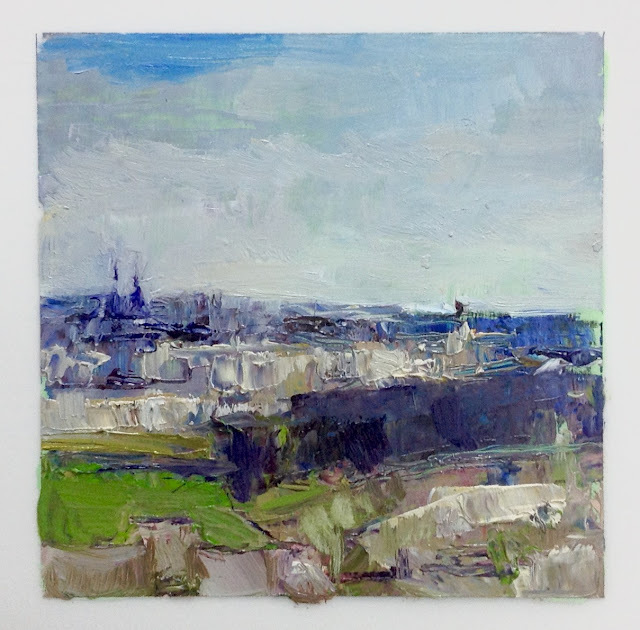 But I was still not satisfied: the box was cumbersome and still attracted too much attention, my reaction time to make a quick oil sketch was still too long. So after having seen this short Youtube-film about 'Luc Grateau, portraitiste du métro', I was inspired to make a mini oil paint studio out of an old cigar box. 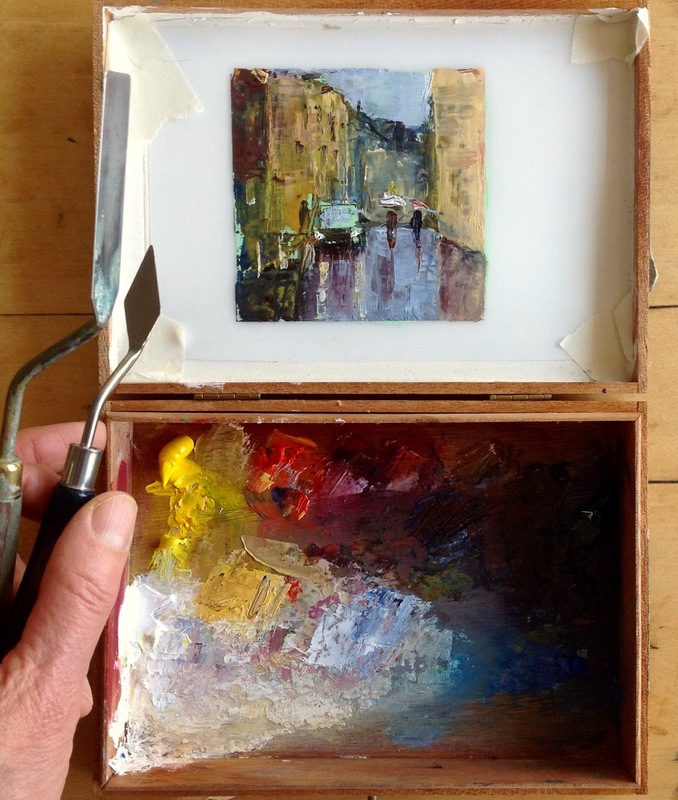 At home I squeeze out some oil paint in the box and I tape a sheet of polyester film in the lid. One or two palette knives and some tissue, I do not need more than that. I love my little box. 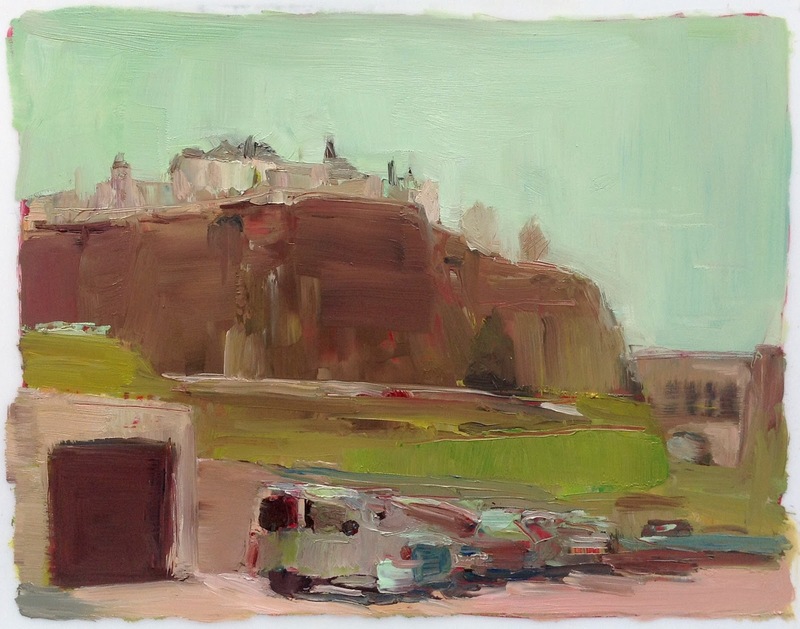 It is super mobile and discreet and it allows me to combine two marvelous things: the freshness and the spontaneity of urban sketching and the deep richness of oil paint. Leen Van Bogaert is a translator and painter/sketcher based in Luxembourg. She is an administrator of Urban Sketchers Luxembourg. You can see more of her contributions on the blog of Urban Sketchers Luxembourg, and more of her sketches on Flickr and Instagram.